Searching for the best drill press online will most likely leave you confused – you’ll be overwhelmed by the number of different brands and models. Each manufacturer considers their own product as the best one in the market, making things even more confusing and preventing you from making the right decision. However, the products made by DeWalt really are among the best ones that money can buy today. This company is one of America’s favorite manufacturers of power tools, with thousands of handymen praising their devices and calling DeWalt a brand that they can always trust in. Will their DWE1622K drill press continue this tradition? To find an answer to that question, we’ve decided to test the machine and find out all of its advantages and flaws. If you’re in a market for a magnetic drill press, keep on reading – the DWE1622K could end up being your final ultimate choice. Compact and lightweight, the DeWalt DWE1622K is easy to transport from one job site to another. Its low weight makes it perfectly suitable for any kind of a position during the drilling job, and all who deal with drilling steel on a daily basis will certainly appreciate this feature. The unit comes with a quick-change chuck system, an overload protection (with the LED indicator), as well as with the quick-release feed handles. The thing that makes DWE1622K suitable for a variety of applications is its powerful engine. The 10.0 AMP engine of this press drill provides excellent performance and can be used at two different speeds (300/450 RPM), while the 4″ of drill travel offer a maximum capacity for even the toughest jobs. The dimensions of 22.4″ x 6.5″ x 19.3″ and the weight of 33 pounds make this model very compact and portable. Its lightweight construction and the sleek profile will surely be appreciated by those who often have to move their work from one place to another. The fact that the unit comes with a sturdy carrying case makes things even more convenient – one only has to put the drill inside the box and he’ll be ready to move. The quick-release feed handles of this drill press can be mounted on either side of the machine, which comes in quite handy while working in confined areas. The overall design makes operation very easy – the controls are placed strategically, and there’s also a comprehensive user manual included in the package. As you can already guess, this turns the DWE1622K into an excellent choice for the beginners. The power of every drill press is determined by its engine, and in case of this unit, its motor delivers the total power of 10 AMPs. This is guaranteed to provide the user with enough power for effortless cutting through all sorts of tough materials – including steel. Just like we expected, the speed is adjustable, allowing you to choose from two different speed settings (350 and 450 RPM). The quick-change chuck system, on the other hand, allows tool-less changes and makes the chuck-swapping a breeze. There’s also the overload protection, so you won’t have to worry about overheating. Some of the internal components of every drill press are prone to burning, so we’re more than glad that DeWalt decided to equip DWE1622K with this feature. The 3-year limited warranty on this drill press is quite sufficient and in accordance with today’s standards. Along with the machine itself and the already mentioned carrying case, you’ll also get a keyed chuck and a key wrench. The DeWalt DWE1622K had us impressed with its design, power, as well as with its user-friendly features that make it even more versatile and efficient. The unit sports slim dimensions and low weight, and as such is very maneuverable and convenient for working in tight spaces. The controls are straightforward and can be used even by the complete DIY beginners. The unit’s 10.0 AMP motor makes short work of steel workpieces and allows one to adjust the speed according to the task at hand. Changing the chuck is quick and easy, and there’s no worrying about overheating due to the included overload protection. All of this combined makes DWE1622K one of the best devices of this type in the business – the number of pros definitely outweighs the number of cons. When it comes to press drills, one of the most important things is to have an adjustable speed that will make the machine suitable for a broad spectrum of applications. Unfortunately, this unit offers only two speed settings, which isn’t that great when we compare it with the models of the competitors. It’s also worth noting that DWE1622K is not an entry-level option and as such it’s pretty expensive. Those on tight budgets will have to look elsewhere. The users are quite satisfied with the convenient design and the excellent performance of this drill press. They’re saying that DWE1622K makes things go faster and that it allows them to drill holes far more efficiently than any of their previous machines. They’re praising the unit’s strong magnet, easy-to-operate controls, quick-change chuck system, as well as the overload protection that allows heavy-duty application. As expected, the unit has managed to meet the expectations of thousands of users all over the world. Even though this model has a couple of drawbacks, they shouldn’t discourage you from considering it for purchase – the number of advantages is simply overwhelming. The DeWalt DWE1622K is equipped with heavy-duty construction and a powerful motor, thus being capable of effortlessly completing a wide array of drilling tasks. 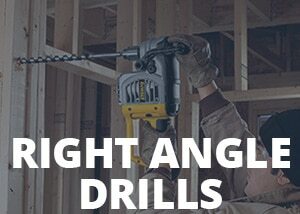 One doesn’t have to be an expert to know how to use this machine – operating it is straightforward and can be done even by the complete DIY beginners. It’s one of the most impressive devices of this type we’ve encountered so far, and it deserves our sincere recommendation.